Becky Yancey - "My Life with Elvis Presley"
Elvis received marriage proposals -- and other proposals -- nearly every day in the mail. Unknown numbers of grandmothers, mothers and teenagers readily would hvae left their homes, husbands or boyfriends for Graceland immediately if Elvis had but snapped a finger. Psychiatrists theorized in print and amateur psychologists echoed in public and private that Elvis maintained his appeal as he and many of his fans moved into middle age because they had grown up together. Many of the fans saw him as a reflection of their own vanished youth and their adoration of him was an attempt to recapture their younger days.
. . . Imagine then, one of his fans being offered a job working inside Graceland for Elvis. That's what happened to Beck Yancey. Becky was a pretty fourteen-year-old brunette from Memphis when she first met Elvis in 1954. It was at the beginning of his career and he was singing from the back of a flatbed truck at the opening of a shopping center. Seven years later she became his secretary. During her nearly thirteen years at Graceland, from March 1962 to July 1974, Becky cemented a friendship and became a sometime confidante of Elvis. She would listen attentively during the times he would walk into the office to chat, informally perching with one leg dangling over the side of her desk. Becky remembers hen Priscilla came to Graceland from Germany to live and to complete high school. She was there when Elvis and Priscilla were married, and when there daughter Lisa was born. And she was there through the breakup of the marriage. 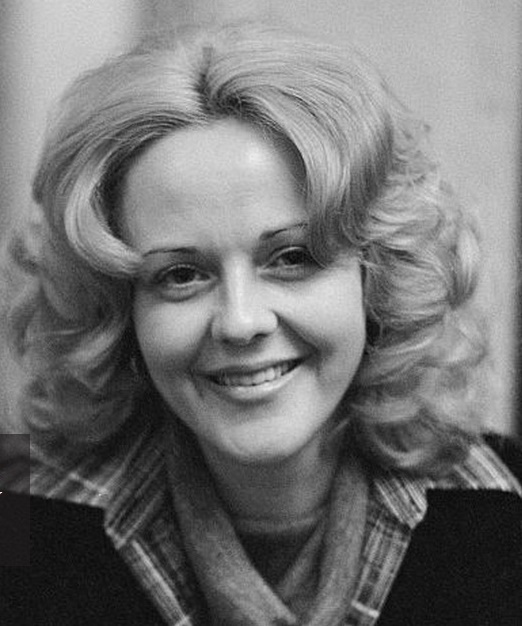 Becky became a personal friend of members of the so-called Memphis Mafia, Elvis' bodyguards and buddies who lived at or near the mansion with their wives and girlfriends. She came to know Elvis' father, Vernon; his wife Dee, and after the breakup of their marriage, Vernon's live-in girlfriends Sandy. She is a friend of Elvis' other relatives who live at Graceland and who worked for him.
. . . I first met Elvis in 1954 when my brother, Harold Hartley, and I talked our parents into taking us to the grand-opening of a new shopping center. Elvis, Scott Moore and Bill Black were playing from the back of a flat-bed truck behind Katz Drug Store. 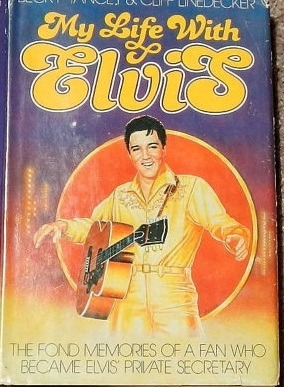 Elvis hadn't been singing professionally for long, and the first time I had heard him was a few weeks earlier when some girlfriends and I called Dewey Phillips. Dewey was a disc jockey on WHBQ, and I asked him to play, "Thats All Right Mama"